Please excuse the fact that my hair makes it look as if I had just rolled out of bed, I hadn't.. cough. 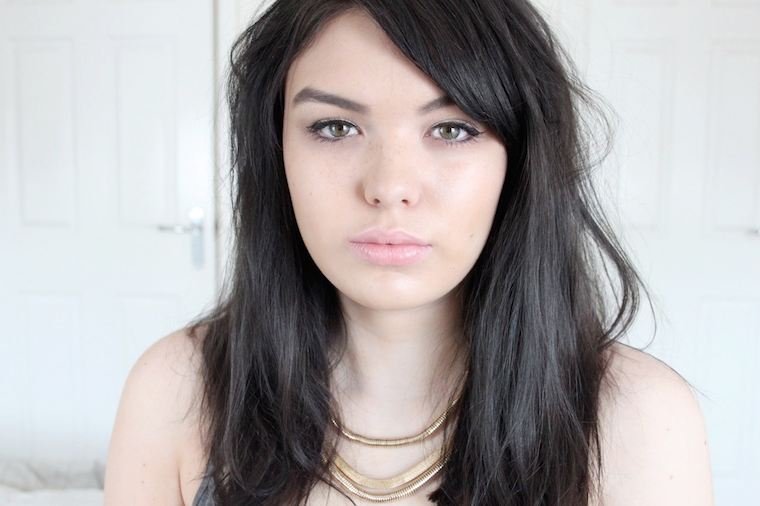 This is the make-up look that I wear most days, its simple, radiant and fresh. My secret weapons to flawless looking skin are both the Illamasqua Skinbase Foundation and the Nars Copacabana Illuminator, both of which I absolutely adore. I like to sometimes also like to use the Sisley Express Flower Gel beforehand which really perks my skin up too. 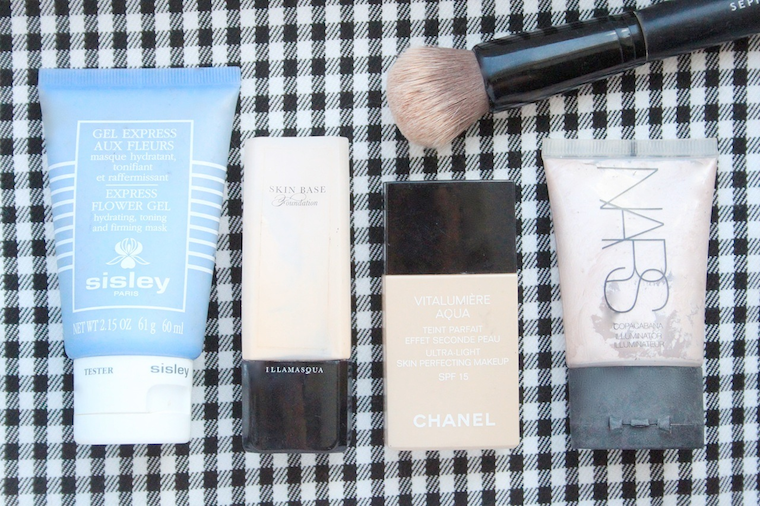 If it's a really hot day and I don't fancy wearing much make-up then I will go for the Chanel Vitalumiere Aqua which is my second favourite foundation, it doesn't give a great deal of coverage but has such a glowy finish. For my brows I've been filling them in with a lighter colour than usual, I can't bare using a warm toned brown on them so it always has to be an ashy shade. Flicked liner as always for the eyes with some smudged underneath the bottom lash line to create the illusion of thicker looking lashes. The lip and blush shades I choose were both a barely there almost unnoticeable pink to achieve an effortless overall look. love this, looks so natural and youthful! really want to try out that illamasqua foundation too, you've persuaded me to get it!